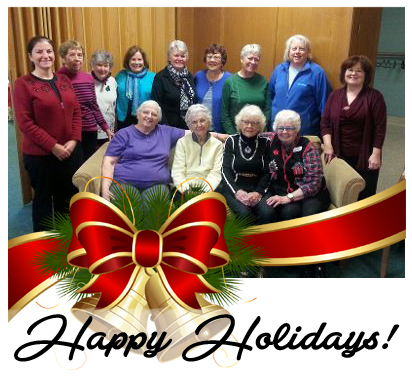 Sojourn’s Caring Resources Group Annual Holiday Party, Tuesday December 21st. For those of you that are new to Sojourn, we offer a support group that meets on the 2nd and 4th Tuesday of each month at 12 pm. We ask that you bring your own lunch and we provide the refreshments. We meet at St. John’s Lutheran Church in the Gathering Room to share community resources, while giving everyone the opportunity to meet other caregivers and share their thoughts and experiences. We also offer a free lunch & care for your loved one while you attend the group, at Sojourn Day Center which is located across the street from St. John’s Church (2451 Fairview Lane Mound, MN 55364). For more information, please contact Julia Spanger, LSW or MaryAlice Redwing, LPN at 1-800-SOJOURN.